It looked in advance like it was happening again. And it did happen again. Just not in the way we thought it was happening again. In yesterday's practice Mercedes struggled, and the story seemed familiar. A low grip, temporary track. Slow corners. The car struggling apparently to get its tyres in range. Montreal, wherein it had bounced back in just those sort of circumstances, was by the looks of things a one-off. Yet, when it mattered, not a bit of it. Come this morning's running silver was back on top in that highly familiar way. 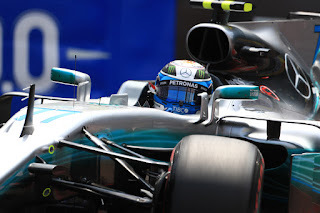 But in another as-seen part of the tale it looked that of the Merc pair Valtteri Bottas - like in Sochi and Monaco - was the better equipped in such moments. Come qualifying though, not a bit of that either. Lewis Hamilton on a track that requires brave shaving of walls and acrobatic skills was again on another level even of the two Mercs. At last providing a bit that makes sense. And Mercedes more generally looked even further ahead of the rest than before. In the final part of qualifying it appeared Bottas might deny Lewis though. 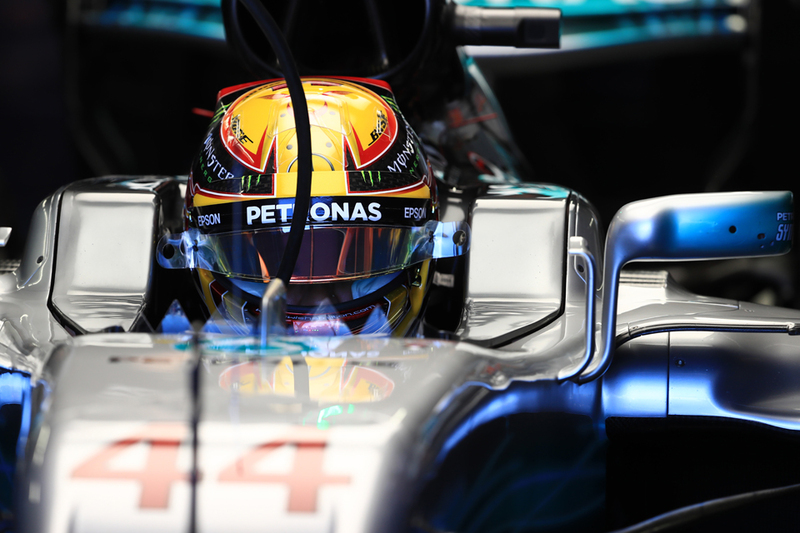 The Finn's first run was ragged - and featured at least two kisses of the wall - but it was enough to get provisional top slot as Lewis lost a half second running off at the final turn, carrying the loss down the subsequent straight (he admitted later that he was simply "greedy"). Then Daniel Ricciardo, atypically, tagged a wall and stopped on track, heralding a red flag. There was enough time for another lap, but with tyre warm-up tricky it wasn't clear if there was time for improvement. Mercedes - in another preceding theme - had been struggling particularly to get its rubber in range that quickly. But again, as it transpired, not a bit of it. Lewis's final lap stunned and snatched pole rudely. 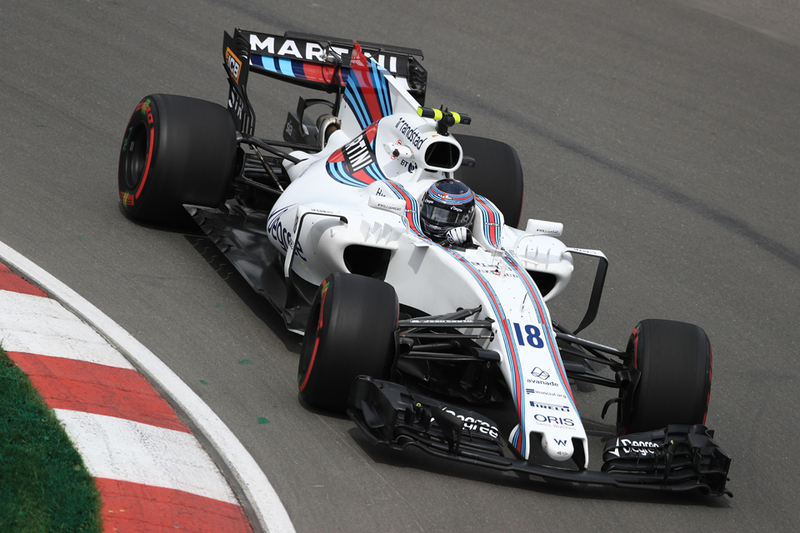 Bottas improved by two tenths, but his team mate blitzed even that by half a second. And this time - in stark contrast to the first effort - Lewis's final sector was 0.321 secs quicker than anyone else ever managed. "Lewis what he did today, nobody else I think can do that," noted Niki Lauda afterwards aptly. And the Englishman not for nothing beamed. "It was do or die," he said. "In qualifying, sometimes you don't extract it, but it was a perfect lap." Bottas meanwhile was a little disappointed. "Not clean enough," he said, "didn't get enough grip. Before the red flag it was going okay, so [I'm] disappointed in the end to lose the pole position, that was the target for me today." "It was not plain sailing at all," Lauda went on, referring to Mercedes's Friday troubles. 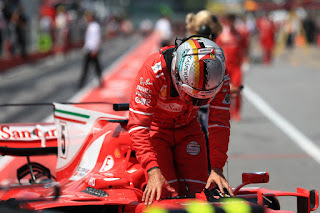 "But I tell you, a lot of thinking, digging, back to the factory, forwards, and whatsoever, and in the end the improvement the engineers and all the mechanics did to the car was outstanding." Bottas concurred. 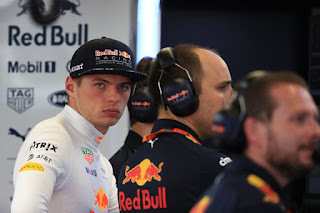 "I am proud," he said, "we made quite big changes in practice sessions, we were lost in the beginning and managed to turn it around and we think, for tomorrow, we have a great starting position and a good fight to get another 1-2 for the team." It got even better for Lewis and Merc as while Ferrari filled row two for tomorrow it did so with best times more than a second off Lewis's. Now there's a turn up for 2017 - it's the first time this season Ferrari's been off it. Even on Friday when Merc struggled the Scuderia didn't appear to be doing much to take advantage (Red Bull looked on top in day one). Sebastian Vettel then missed much of Saturday morning practice with a hydraulic problem. He wasn't much of a factor in qualifying, though salvaged fourth in the late frenzy - his best a tenth and a half off team mate Kimi Raikkonen in third, and just ahead of Max Verstappen. The German didn't seek excuses though. "The result is OK, but we're not entirely happy obviously," said Vettel. "This morning didn't help, but that's not an excuse. We are doing enough laps. "I think everybody was surprised by how much Mercedes improved..."
Max wasn't without his own problems. He didn't complete either the second nor third practice sessions and had more gremlins in the quali hour. He reckoned it cost him third on the grid. "It's not really nice to be in fifth," he bemoaned. "In Q2 I had some problems with the limiter. "In Q3 on my final lap, where it all counts, I was two tenths faster but then had a problem with my gear sync, so on the straights I was losing a lot of lap time. "That was very painful. We need to get on top of that because it shouldn't happen. I'm a bit disappointed because we should have been third." Force India as anticipated was strong here, and Sergio Perez will start sixth and Esteban Ocon a smidgen behind in seventh. Both had best times just three tenths shy of Seb and Max. Credit to Lance Stroll too, who followed up on his strong Canada race by looking impressive here, and he'll start eighth one place ahead of his Williams team mate Felipe Massa. Perhaps he is having an epiphany after all. At the very least it is our latest reminder that drivers should only be written off with extreme reluctance. The stricken Ricciardo completes the top 10. McLaren meanwhile accumulated a total of 75 grid place penalties between its pair of cars, so it didn't really matter so much that both dropped out in Q1. The orange pair will start the race from Armenia. Twelve months ago in the inaugural Baku race we, based on the junior races, anticipated carnage - various trips down escape roads, smashes and safety cars that would turn matters onto their head repeatedly. Also that a generous DRS zone would let even slower cars pass those ahead, with leaders at safety car restarts a sitting duck. In the event we got none of it. Perhaps though - particularly with faster cars that can be pushed for longer - we'll get our carnage this time a year deferred. We've seen already this weekend that we can expect the expected. But we're not clear which bit of the expected that will be. Yet whichever it is, it'll take a lot to usurp Mercedes and particularly Lewis Hamilton this time.